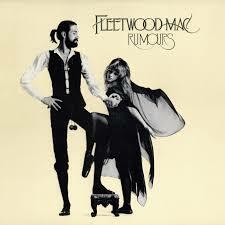 Rumours is a great album, packed with hits. I’m a bit cynical, always thinking ‘it can’t be that good’ but I really enjoyed listening to this. Many of the songs are well known hits in their own right – Go Your Own Way, Dreams, The Chain, You Make Loving Fun – so it was good to hear them as an album, building up the intensity. And I really sang along, big style. It may be a bit ‘middle of the road’ (ie loads of people like it) but it’s very accomplished. It reminds me of my FVSB (first very serious boyfriend), who liked Fleetwood Mac because his dad did. His dad was an electrical engineer in the Navy, and their house was full of fantastic (and fantastically safe) wiring. There were speakers built into the bathroom, and I remember sitting on the loo (or the ‘head’ as he called it) listening to Stevie Nicks. So I think these songs were well embedded, waiting to be released. And they have been.